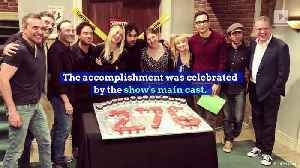 “The Big Bang Theory” is wrapping up its 12th and final season of the series. According to SFGate, Kaley Cuoco said “the nostalgia is getting insanely real.” The star posted a photo of herself and her cast mates during their first Comic Con together. On her caption she wrote: “Men crush Monday on these handsome boys!” The photo features Kunal Nayyar, Johnny Galecki, Jim Parsons and SImon Helberg. The end is near when it comes to “The Big Bang Theory,” reports SFgate.com. 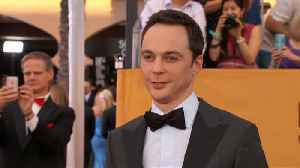 'The Big Bang Theory' Makes Television History The CBS program has now produced the most episodes for a multi-camera sitcom. With its recent 276th episode, it breaks a record set by 'Cheers.' 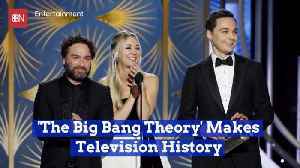 The..
On March 27, &quot;The Big Bang Theory&quot; star Kaley Cuoco shared a story with her Instagram followers that will make you believe that there are still good people in the world. In an effort to raise awareness about carbon emissions and alternative transportation methods, "The Big Bang Theory" actress Kaley Cuoco has signed on with Shell for a new YouTube series titled “The..